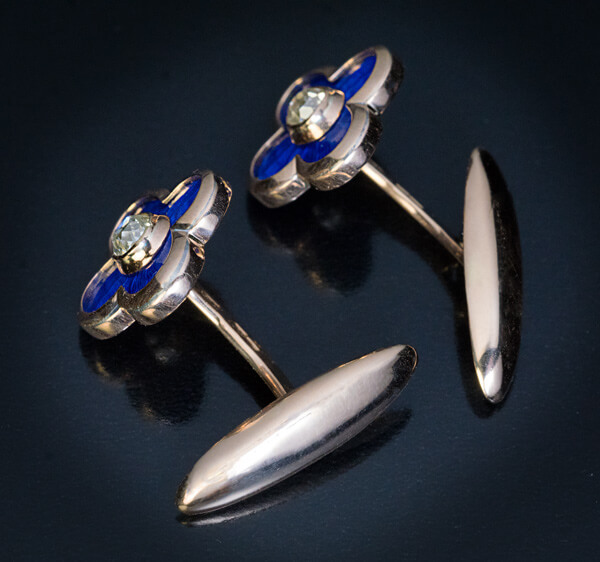 made in St. Petersburg between 1908 and 1917. 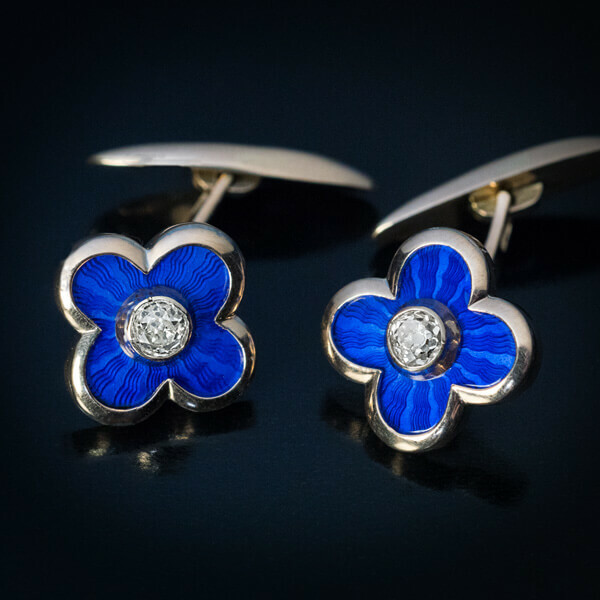 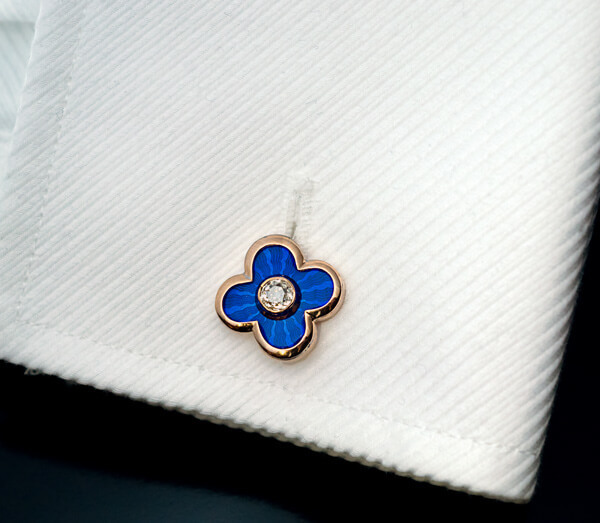 Antique Russian 14K gold cufflinks from the Imperial era are designed as a pair of quatrefoils (ancient symbol of good luck and prosperity) centered with chunky old mine cut diamonds surrounded by royal blue guilloche enamel. 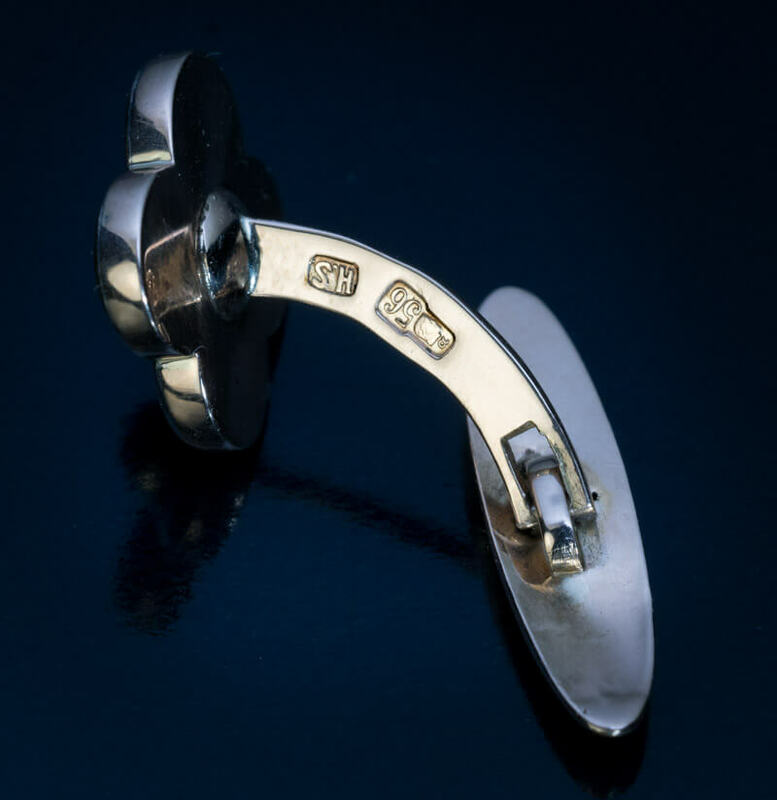 The cufflinks are marked with 56 zolotnik old Russian gold standard, St. Petersburg assay mark, and maker’s initials.